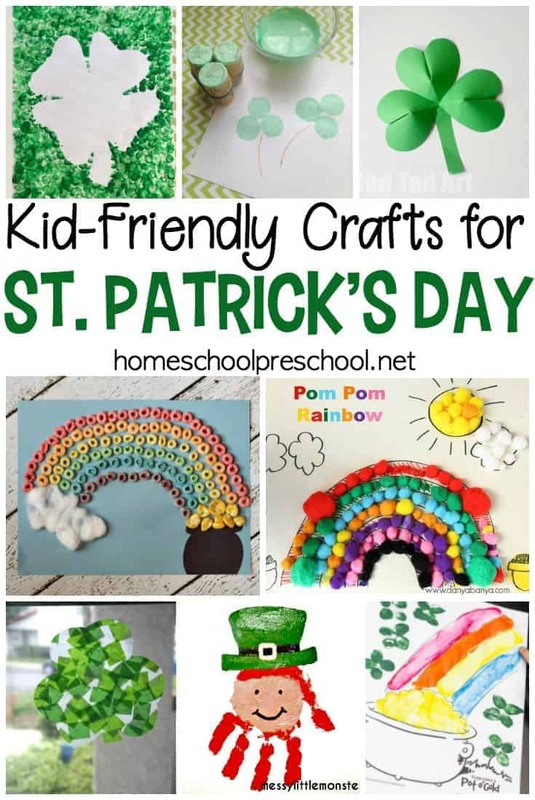 Preschoolers love crafting, and these St Patricks Day kid crafts will make great handmade holiday gifts and decorations. Check out all 21 ideas! Preschoolers are so much fun, and most enjoy crafting and making art. The crafts featured below are perfect for little hands. Help your preschoolers explore their creative side, and then let them put their artwork on display. Or, let them share their work with a grandparent or other loved one. They’ll be so proud on themselves. This simple St. Patrick’s Day leprechaun hat is the perfect accessory for little ones (and it ensures they won’t get pinched while wearing it). Kids will love this not-messy shamrock smoosh painting activity. If you have a little one who doesn’t like to get their fingers messy with finger painting, give this art project a try. No green in your preschooler’s closet? Grab some old sunglasses and green craft foam, and create these fun shamrock sunglasses for your little ones to wear. Print out this fun template and let your little ones finger paint a pot o’ gold. If your little ones don’t want to get messy, they can color the page instead. These St. Patrick’s Day mini sound shakers will make a great sensory activity for toddlers and preschoolers. All you need is some small plastic caps, washi tape, and materials to put in your shakers. This clover fingerprint resist painting will look great hanging on the fridge this March! Your little ones will be so excited to turn ordinary 3D paper hearts into 3D paper shamrocks for St. Patrick’s Day. String some together, and you’ll have a great garland for your doorway or mantel. Handprint crafts rank high on my list of favorite preschool crafts! This handprint leprechaun craft will make a great decoration and keepsake. Little ones will work on their fine motor skills when they create this colorful tissue paper rainbow and pot of gold for the holiday. This pom pom rainbow collage is a great way for preschoolers to practice color recognition and fine motor skills while creating a fun holiday art project. Grab a box of pasta and let your little ones help you dye it. Then, let them string the pasta to create a rainbow necklace. Here’s another smoosh painting for little ones to create! 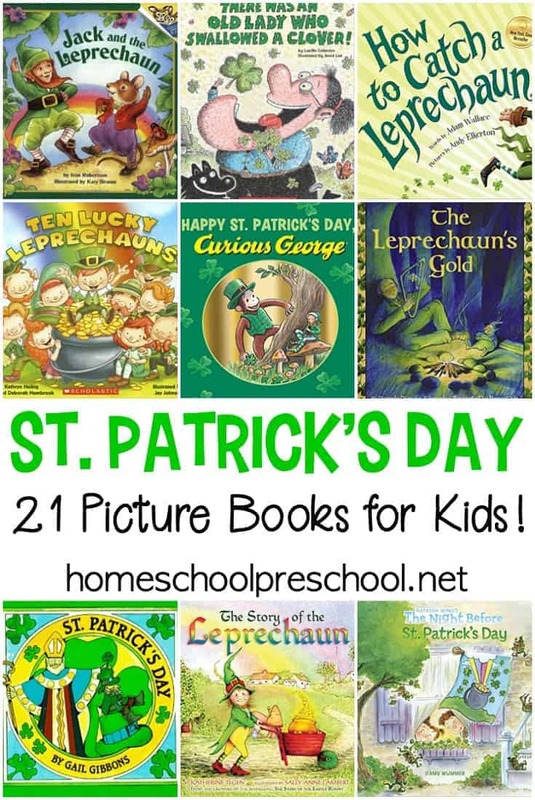 They’ll love making this Eric Carle-inspired shamrock art. You guys do not want to miss this Irish leprechaun hat craft – complete with beard, ears, and a mustache! Kids love using food in their arts and craft projects. 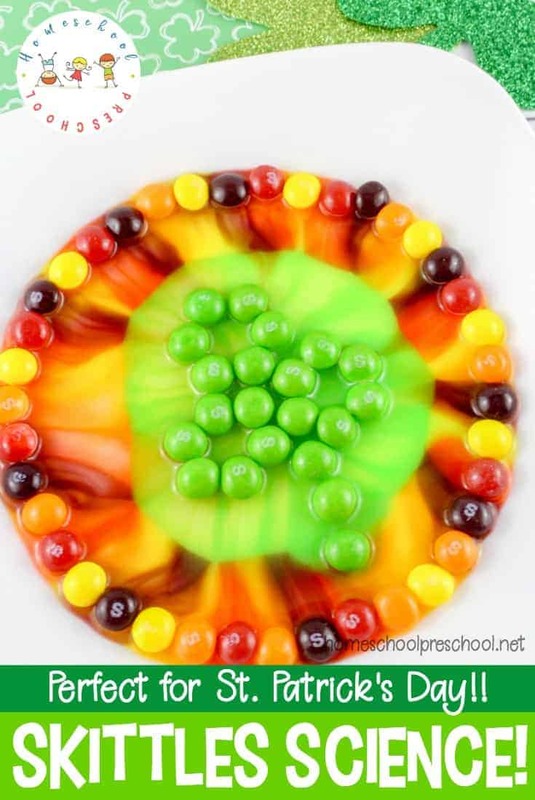 Here’s a fun idea for a food-based St. Patrick’s Day Rainbow Craft. Weaving is a cheap and easy project for kids. This rainbow weaving art project is perfect for St. Patrick’s Day and can be displayed all through spring and summer. Help your preschoolers count their blessings with a simple I’m Lucky Because… St. Patrick’s Day craft. 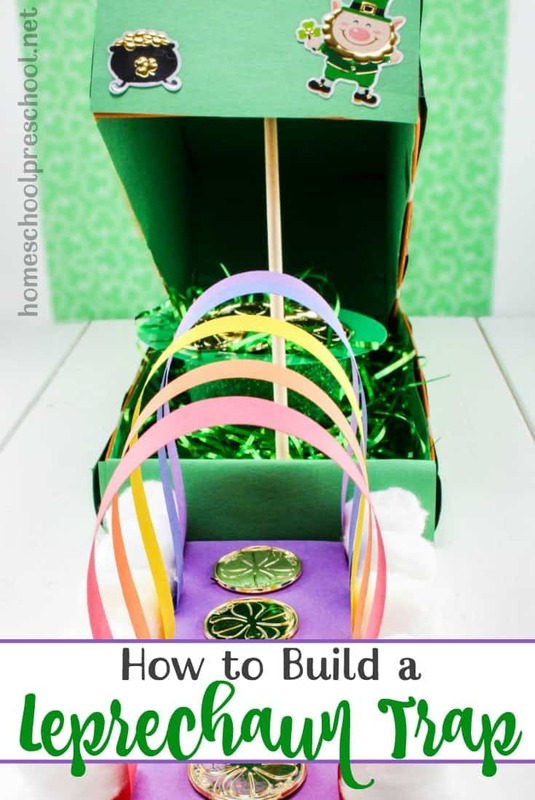 With a few supplies you likely already have in your craft supplies, your kiddos can create a St. Patrick’s Day leprechaun that they can use to retell stories or use in their imaginative play time. Save your corks, and use them to create clover stamps for a fun St. Patrick’s Day craft for kids. Don’t drink wine? Use plastic water bottle lids instead. Your little ones will love watching the sun shine through these Shamrock Stained Glass Suncatchers. Kids will love making a little magic of their own with their very own homemade Leprechaun Wands! Grab a few supplies from your local dollar store, and you’ll have everything you need to create a St. Patrick’s Day Wreath with your little ones. From no-prep activities to “this could get messy”, there’s something on this list for all of your kids to try! 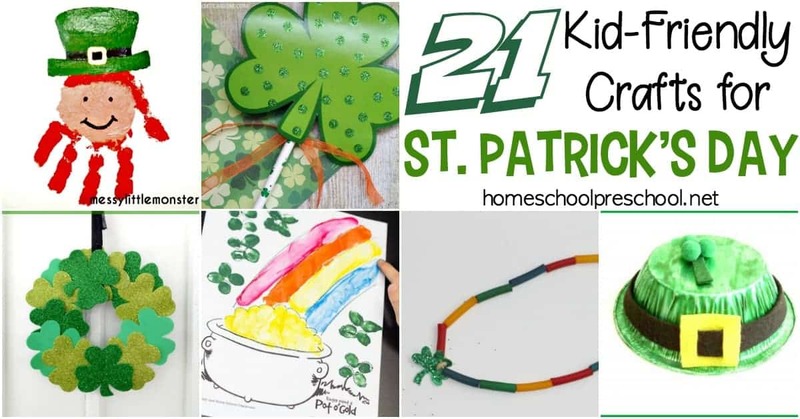 So, which St Patricks Day kid crafts will you try first?